Just how often does this happen? We come to Barcelona for the Spanish Grand Prix with the air rich of talk of technical transformation; 'B spec' cars even in some cases. And in the end? We end up pretty much where we were. Everyone improves but improves almost in unison. It happened again this time. In yesterday's practice at the Montmelo track it looked like normality was going to be restored. The normality as established in recent years that is, of Mercedes dominating. The sleek new silver machine looked well clear of all others - 'new' being the operative word. "Bloody hell. It's all new. All of it. That's incredible," noted one reserve driver to Will Buxton of the revised W08 on show, far from alone in the view. But come practice running this morning it was fairly clear that Ferrari wasn't going anywhere after all. And in the acid test of qualifying it was another normality, the one that we've got used to in 2017, that prevailed. Mercedes and Ferrari with almost nothing between them, and Lewis Hamilton having the edge on a Saturday at least. 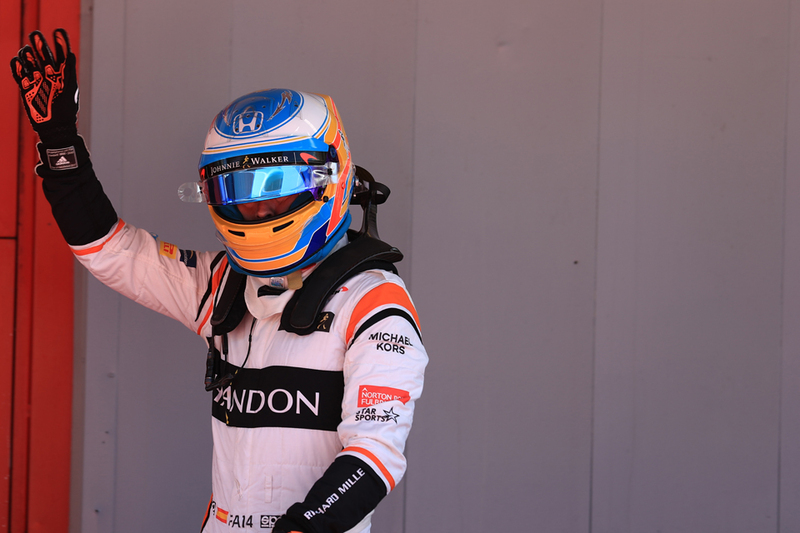 He took his third pole position from five this season. Sochi it appears was indeed one of his outliers. 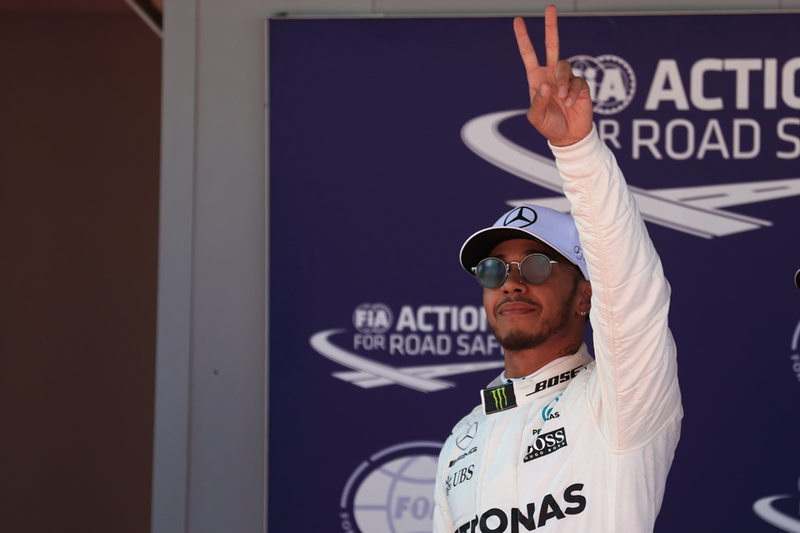 "I'm super proud that we can get back up there," said Lewis afterwards. "The first Q3 lap was very, very good. The last lap was so-so." It might have got even better for Ferrari as on the final runs Sebastian Vettel looked well on to take advantage of that 'so-so' lap of Lewis's - in which he didn't improve - and get pole. Seb though cursed a mistake at the final chicane that contributed to him being half a tenth shy of the Englishman and getting runners-up spot. "I had it...I had it," the German lamented on his radio at the opportunity missed. 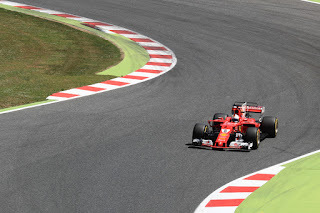 "I've been coming here a long time, so many laps, and still the last chicane is a tricky one for me," Seb added later. "First Q3 run I wasn't entirely happy, I knew there was more. "The second one was really good until that final chicane, it was really close. Well done to Lewis." It might equally have been a lot worse for the Italian team though. Following stopping at the end of morning practice out on the track the team had to change Seb's engine before qualifying, which it did pronto (Seb called the switch in under two hours "a miracle"). Of course, as is almost always the case here as well as was the case last time out in Sochi, a lot will depend on the race start tomorrow and the order after the lengthy run to the first turn. Overtaking is unlikely although at least the smart money is on two-stoppers tomorrow, due to the need to minimise the time spent on the wood-like medium tyre compound. So there are two chances to make strategy gains. 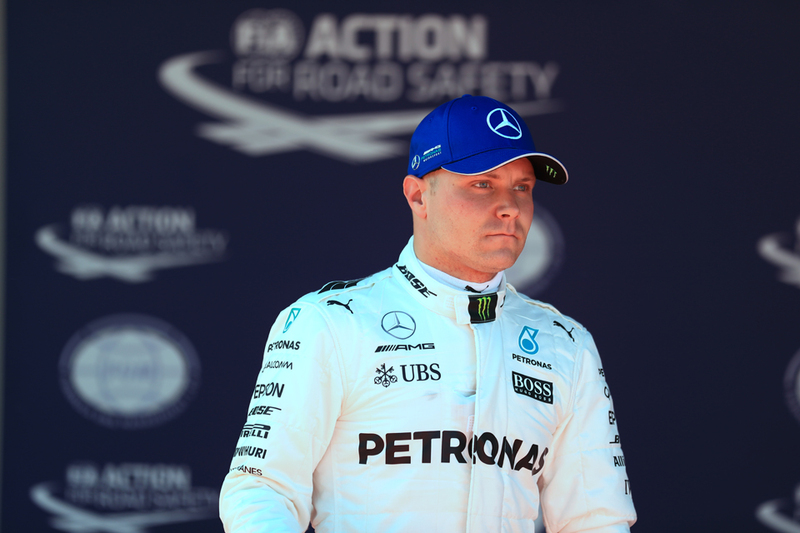 Valtteri Bottas in the other Mercedes starts third just as he did in Russia, which worked out OK for him then. He was another to be impressively in the mix as in his case he lost almost all of morning practice with a Merc water leak. He seemed with, but never quite ahead of, Lewis throughout and an iffy middle sector on his final run confined him to start third. "I am very pleased and it is always a good starting point when you start from the second row," Bottas noted, "and the guys did a great job to get the car back on track." For Kimi Raikkonen in the other Ferrari the story also was a familiar one. He was right in the thick of it - to the point that some wondered if his near enough decade-long pole drought would end at last. But at the last he faded a small but critical amount, and thus he starts fourth. As for his team mate Stoffel Vandoorne? He starts next to last. 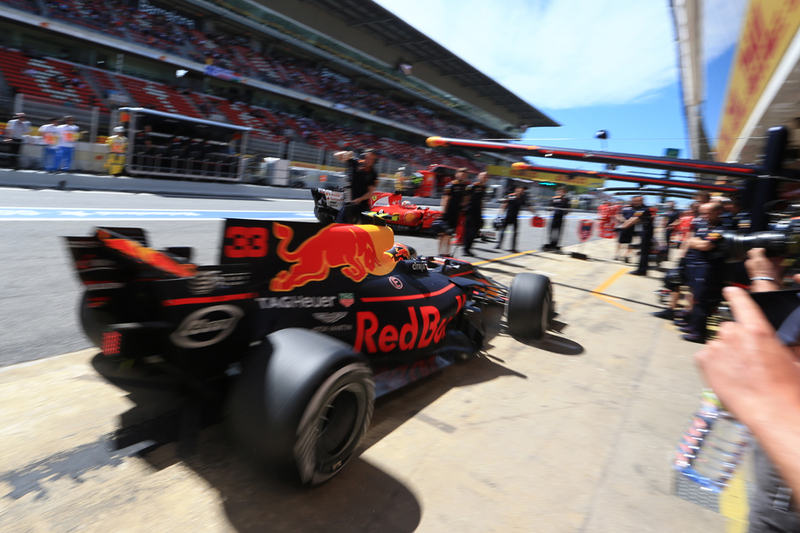 Another story too worthy of note, but that threatens to get lost, is that Max Verstappen also did a stunning job, bagging fifth on the grid with a time near enough half second under that of his seriously quick team mate Daniel Ricciardo. With it is another story that may be missed, that Red Bull's upgrades have made a difference relatively, as the Bulls now appear much closer to the leading cars ahead (the Dutchman indeed called the step forward "massive"). Max's best was only a quarter of a second off Kimi's indeed as well as only six tenths off pole. Far removed from the gaps well north of a second witnessed in the opening rounds. Esteban Ocon also looked good today, indeed was pretty consistently up on his stable mate Sergio Perez. Apparently though on his final effort the Frenchman neglected to open his DRS, which his engineer reckoned was well enough to get him the two tenths required to vault him to seventh place in the starting order. As it is he starts tenth with Checo eighth. And crikey where on earth did Williams' pace go today? In Q1 Lance Stroll left the building in P18 (which you might say is sort of standard) but Felipe Massa did little better at that point in P14, and in the end only starts ninth. One wonders what odds you'd have got on him starting behind a McLaren for this one. 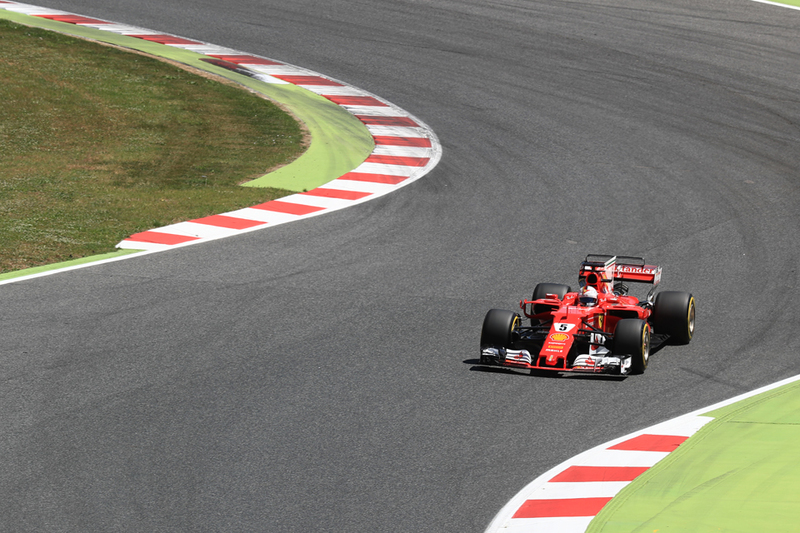 Barcelona is a bellwether, and this can be for good or for ill for F1 design teams. Another story arc of 2017 to continue today were glaring team mate differences, with drivers with less experience in particular floundering. Vandoorne we've mentioned, while Jolyon Palmer again was well off Renault team mate Nico Hulkenberg and starts P17 to Hulk's P13 (ironic that Alonso starts ahead of both Renaults, the car many thought would provide his refuge for next season). While Toro Rosso's Daniil Kvyat starts plumb last, compared with Carlos Sainz in P12. The Spaniard noted "there was not more than this" in the car. There indeed seemed very little left out on the table by many drivers today. And perhaps with all the tales around there is one bigger than all others. That given Barcelona's status as a bellwether, this fight with four cars in red and silver that a tea towel can be thrown over is indeed likely to be with us for a while. We live in interesting times.